You have pulled up your sox and prepared one of the best resumes in the world. Is that all enough to find a right opportunity? Not really right? You obviously have to post it to different portals. What if that particular job portal is not witnessed by the recruiter of your dream company? And there will obviously be endless series of questions if you really want to shoot up the chances of settling abroad. In fact, reports indicated that less than 60 per cent of international recruiters actually invest time to go through different resumes on free job portals. They would often approach a local consultancy for their needs. Otherwise, you can directly write to them with your resume attached. Even for that, you need to have a customized resume. A resume often speaks more than 80 per cent of a person. If presented well, a person can go places. Otherwise, it would only end up him in a vacuum. People in different professions need to present their resume in different formats. Choosing a mundane and conventional type of resume would not appease a recruiter at an ad agency. Similarly a loud profile with too many graphical representations would end up irking an IT recruiter. To make sure you don’t commit these tiny mistakes that can actually take a toll on your future, JOBSOG started accepting customized resume services. Going for a customized resume has many advantages which include increasing the chances of getting an interview call, leaving a good impression on the management, standing in the first position amongst the shortlisted candidates and so on to name a new. All the efforts you put into the resume optimization, international cover letter would yield better results only when your resume is customized. 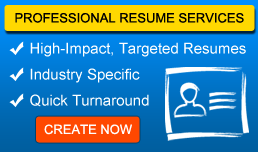 Go for resume optimization if you want to leave no stone unturned. Spider webbing is the last step of sealing your fate with style. Specially designed to spread your resume each and every nook and corner of the city or country you wish to work in, spider webbing gives you an edge over the others whom you consider your potential competitors. As reports made it evident that international recruiters take the help of local job consultancies to find candidates, it is of utmost importance that your resume now moves from the pipeline to the actual destination-consultancy. The more number of consultancies your curriculum vitae reach, the brighter the chances of getting an interview call. JOBSOG has tie up with almost all top consultancies in the countries we mentioned, we will help you in reaching those top consultancies. Before you opt for spider webbing you must understand that we are only widening your scope of finding an opportunity and not guaranteeing a job. While all our services will increase the chances of getting interview calls, it’s your talent alone that helps fetch you an opportunity. We will only show the ways to reach the gates, once you reach there, you are on your own. Imagine you availed all our services and successfully got an opportunity on your talent, what’s next will be your question for sure? When in such doubts, you are always welcome to speak to JOBSOG as our duty doesn’t cease the moment we shoot your resumes to a chain of consultancies abroad. JOBSOG offers something called post landing services in order ensure your well being right from booking a flight ticket to finding an ideal house. Once you tell us the location of the company you would work for, our staff would swiftly get in touch with the agents in the country you specified to find a good place—it can be a hotel or individual flat or even a villa (it basically depends on your needs and budget). Once you find the house, you needn’t worry about rental agreements and stuff like that. We would arrange for everything from our end. We would, in fact, book your tickets and will be constantly in touch with you till you reach the home away from home. Post landing services and life insurance have one thing in common—to move ahead with no worries (although we don’t offer the latter). It’s always safe to go through a company like JOBSOG to find an accommodation. Otherwise, consultancies can take you for a ride if you handle this important task on your own. Most importantly, you must know the safe and unsafe areas otherwise it’s even more risky for your life altogether. When you find an accommodation through JOBSOG, you will always be in a safe place for sure give safety of our clients is our priority.